Irvine, KY -- Kindred Records has signed a record deal with North Carolina Gospel Bluegrass group Kevin Carter and Full Assurance. The new project Not Looking Back is scheduled for release in May 2012, and the first single "Heavens Bluegrass Stage" is now available for digital release to radio on AirPlayDirect. The project includes 12 tracks, with 11 original songs written by Kevin Carter. "Heavens Bluegrass Stage" was written as a dedication to Bill Monroe and Jimmy Martin, and with the recent loss of Earl Scruggs it would be appropriate to include the banjo master. Spirit filled with the Gospel harmonies in every note, the Full Assurance Band sings and plays with a joyous message, traveling in 2011 over 16 states with 129 performances, including churches, festivals, fairs and private events. Their unique style and material is wholesome and refreshing for everyone. 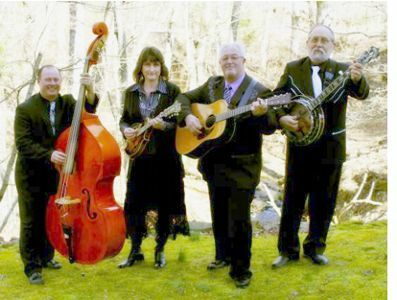 Band members are Kevin Carter - guitar/vocals, Cindy Carter - mandolin/vocals, Tommy Privette - banjo, Chris Pierce - bass. Guests on the project include Kevin and Cindy's daughter Sarah on vocals and bass, Billy Hawks on fiddle, JM Trivette on harmony vocals, and Tim Norris on bass. Not Looking Back was recorded and engineered at Eastwood Studio in Cana, VA by Wesley Easter, and produced by Wesley Easter and Kevin Carter. Their publisher is Johnny Williams with Grass Tank Music in Danville, VA.
Kindred is pleased to add Kevin Carter and Full Assurance Band's new project Not Looking Back to its catalog of artists.